Our Organization believes that Peace is a collective matter, it is grown and planted within us, and we fill it with warm human feelings of unity, belonging, and happiness. Because human are social, and emotional being. 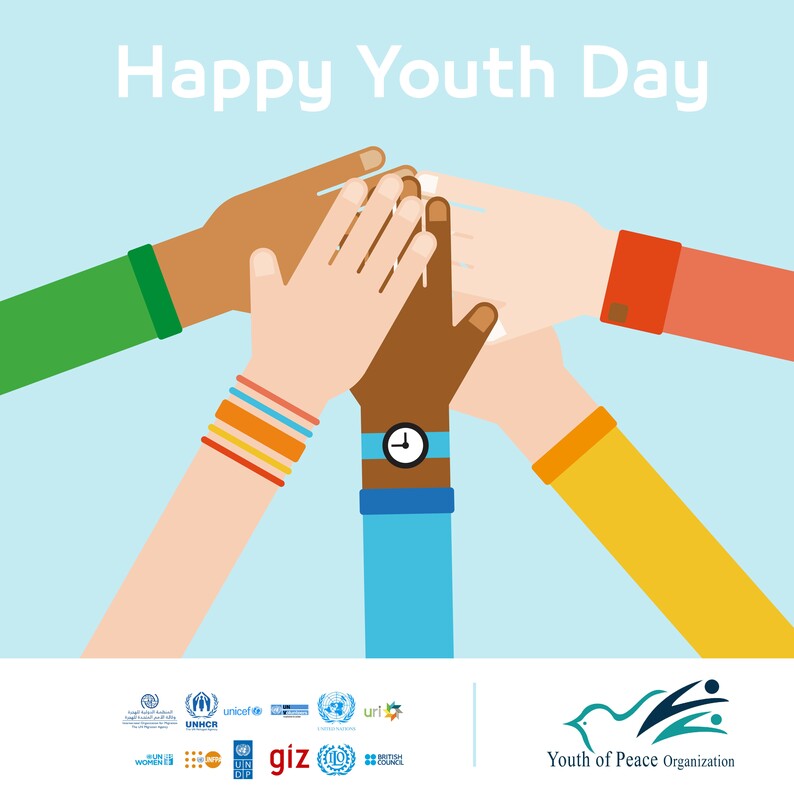 Youth of Peace (YOP) aims to plant the principles of peace and understanding within the society, the youth specifically. We believe that Peace is only a collective matter, as for a peaceful member on the society, we need to develop them, educate them, and teach them the principles of mutual existence, understanding, unity, and disregarding any title but human. Because without any titles we will reach the full understanding that we are all the same, and with that we hope to spread our message to our society. Because unity after separation is so much harder than it is now. We believe that peace is also a long term goal hence we hope to plant a successful impact within the youth, for its simpler and more practical than reaching for the complicated current time. What Fields do we work on? YOP does not work directly in any political framework, rather Social framework, and for that, we aim to work within as many young active society members as possible through multiple aspects, such as educational and economic development, women empowerment, and so forth, we believe that development is not an individual act . YOP Fields Cause: Our organization hopes to spread the noble principles of humanity among those who need it the most, because our youth is our most valuable asset and the ultimate solution for a peaceful tomorrow. What We Value YOP is a title that represents the two most important assets for our country, we need to bring our youth to the leading position and arm them with all the knowledge and values they need to lead the future, and at the same time the condition that we crave to have in order to develop our society. Time Affect We believe that a successful and efficient well implemented youth development programs are put for our future, not our present. We hope to have those youth members in affective positions in the future and with our help, we would try our utmost to make every targeted member a useful and a peaceful member who spreads our values into our society, we focus on our programs on the biggest possible impact , we try to implements projects that are continuous using cycles and capacity flexibility. Efficiency Our financial and operation teams are trained to make our projects as efficient as possible and we use the unit based methodology to show our ability to reach the wanted quantity of targets with the least consuming and most practical way. Background Youth of Peace YOP was founded in 2014 with The Target of Social Service in accomplishing equality of youth and to activate an efficient participation of Youth in the social life, as well as stopping the religious and cult fights and leaving its negative affect to focus only on building the social community of people through adopting and activating projects of many fields such as: social and education and cultural and socially political. Who we are We are a Group of ambitious Youth ourselves who have created Youth of Peace initial to spread peace in our country , soon we have become a registered organization that aims its focus to spread equality , and an affective Mean of spreading peace and highlighting youth role in our community . Vision To contribute on achieving sustainable development and spreading the principle of peace in orders For YOP Organization to be a pioneer in society. Our Message Serving the community in achieving equality and efficient contribution in decision making, as a practical side of what is going on in our country. As we work and achieve to send a strong message that We are here to work not fight through adopting projects and quality programs in many fields like : Social, Educational, Cultural, and Political . Goals - Spreading the Culture of Peace and Forgiveness in the media of society. - Participating on spreading the peace, through sending a message to the fighting sides about the possible damage they are creating. - Spreading Awareness on the Risks of Weapons. - Achieving the principles of Group work on society. - Encouraging the Youth Talents and Abilities, through making specialized programs to highlight their Abilities and Talents that would utterly help the society. - Spreading the peaceful coexistence in the Yemeni Society. Our Experience in Project Management Since our Founding, we made sure on concentrating in Training and preparing the necessary Human forces in Organizational Build and training them in Project Management, we also have done some Self-Funded programs to Train and prepare for Projects in the future. Self-Funded Activities - Cleaning Saawan Area Champaign. - A workshop on Law Dominance and Woman Participation in Political Fields. - Photographing Courses and Videography. Externally Funded projects - A Protest Titled “ Forgiveness and Peace As the Highest Values of Humanity “ - School broadcasts titled “Weam Broadcast “celebrating the Weam Day. Girl ! from Youth of Peace on Vimeo. ZAFAN Documentary Film from Youth of Peace on Vimeo.